Cooked spinach is a favorite vegetable. I can hold my breath swimming underwater for 25+ meters. I have never been without a pet. My first pet as a legal adult was a "pound" cat named Buster. I liked to write plays when I was little (and forced friends and siblings to act them out, in costume). 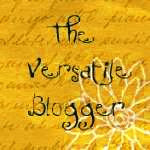 Now I'm supposed to name some other Versatile Bloggers, but since a few weeks ago I already did (and it included all of you), I'll just be moving on. 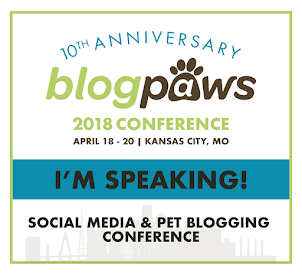 So then last week, Hawkeye (Hawk), the handsome and multi-talented Chesapeake Bay Retriever at Brown Dog CBR, and Oscar, the adorable and pawsome young student-Miniature Schnauzer at Oscar the Pooch, both said I was inspirational. Now that was humbling, since the only things I hope to inspire, with my blog, are a few smiles - and a laugh or two, if I'm lucky. Thanks again, Hawk and OscarBlogger, you inspire me, too! Life with The Horde - Author, Red Dog Mom, is one of the main reasons I'm still around. She, her red dogs and her sense of humor inspired me to tap into my own [sense of humor], and all I can say is, "Who knew?" 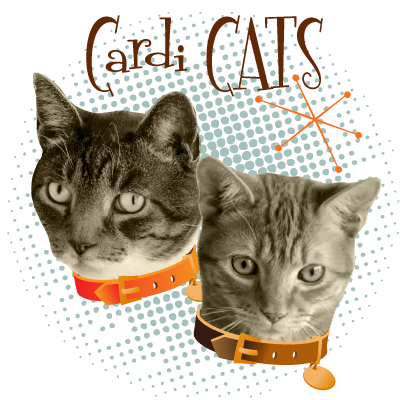 A Tail of Two Cardis - Author, Taryn, inspires me to be a better leader for my dogs. She is passionate about training, her dogs adore her and she makes everything look so easy! The Daily Corgi - Founder and editor, Laurie Eno, is a dog blogging phenom. 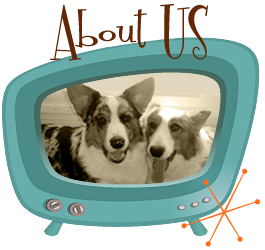 Her selfless outpouring of all-things-Corgi and for-Corgis is simply unmatched in the pet blogging world. She makes me want to be a better person. You'll just have to see it to believe it. 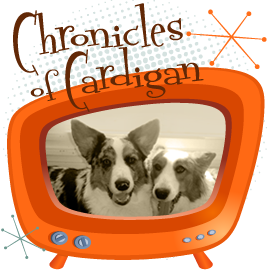 CorgiPals - Author, Paige Davis, started this blog - a sister to The Daily Corgi - purely out of a desire to help Corgis (including mixes) in need. From the homeless to the infirmed, she, along with her vigilant community, is there for the dogs. How can that not be inspiring? Little Dogs on Long Leashes - Georgia Little Pea and Her Typist are hilarious (and so doggone smart). How can I say this...they both inspire me to just be me (and by that I mean the me who is crude and probably offensive). They rock! According to Gus - Author, Lori, is one of the best reviewers I've ever encountered. I can't wait to follow her gang - including Gus the pooch - on their travels across the U.S. If you've seen (or see) a review on my blog, it's by her example (although, I'm not nearly as good at it as she is). Something Wagging this Way Comes - Author, Pamela, inspires me to put on my Thinking Cap (yes, I sometimes have to take off the Dunce Cap first). I always look forward to her insightful (and often amusing) tales about Honey, her Golden Retriever. P.S. 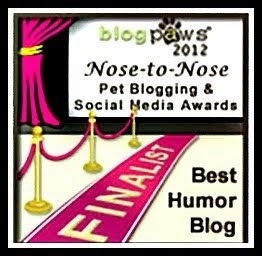 You can nominate as many pet blog/bloggers as you like, in any category. I have even nominated another blogger in the same category in which I've been nominated. 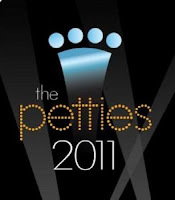 Nominations close on June 29, 2011. Thank you. And, thanks for being the best blog friends and readers a girl could ask for! Congratulations on your cool award! 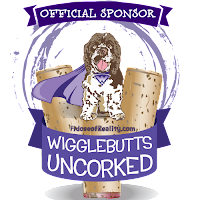 The Red Dogs and I are flattered to be included in your list of inspiring bloggers. I also must say that your wit and talent far exceed my own - and isn't that what we all want? 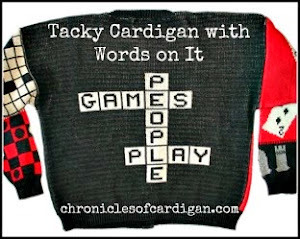 To help others find their voice - even if it's a help of a lot funnier than our own? Looking forward to your post(s) following the dog show this coming weekend.... How's that for a teaser? If there's an award based on how many times your posts make me snort coffee out my nose laughing, you would definitely get the blue ribbon. I rarely get inspired enough to snort coffee out my nose (but then, being an Episcopal priest, that would become an occupational hazard) but you DO inspire me--to write better, to think more broadly and to appreciate the ability to find the humor in every aspect of life. You may feel like your blog is just a drop in the ocean of witty doggie blogs, but I for one think it's outstanding and look forward to every new post (especially when procrastinating writing a sermon). Big thanks!! I cast my vote for your blog. You definitely have the funniest blog going! I think you are a very inspirational and funny writer-you make me laugh and cry, and isn't that what all great writers are supposed to do? OMG I'm honored thank you, and congrants to you for your awards, I find your blog very funny, the things you come out with, its a pleasure to visit. Congratulations!! And thanks for sharing such awesome sites! PS - I'm a cooked spinach fan too. Thank you! Thank you! Thank you! I'm beyond grateful for those kind words! And it is the crude and offensive humor that keeps me coming back for more! @George and Jan - Once day, I will get over that darn Pond! I agree with commenter Peggy -- I've snorted various beverages as a result of reading your blog! Thank you for mentioning Darby's Daily as a source of inspiration. Glenn still can't believe I would think to make felted dog hair balls. I can't wait to tell him you found it inspiring! Versatile, Inspirational, Funny. Yes, your blog certainly fits all three of these descriptions...if not more! You've got our vote for a good cause. Best of luck! Good luck! 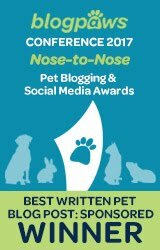 I hope other bloggers nominate you too - it's a great prize to win!